Our publicity guide features a number of ways that you can use media to get people to attend your event, and spread the word in the local press using social media, print and more. British Science Week is a great opportunity for you to showcase your event to the media, and see the fantastic ways in which people are getting involved with science. If you’ve received a grant, it’s a great opportunity for the public to see how the grant is being used. The below guide features a number of ways that you can use media to get people to attend your event, and spread the word in the local press using social media, print, media and more. Tell your people about your event, what you are doing and how they can get involved. Ask them to spread the word. Contact local organisations and businesses who can help promote your project through their networks. Produce leaflets, posters or newsletters about your project – make sure you include the British Science Week logo, which can be found here. Follow the guidelines for use on our website. Display them as widely as possible in your area. Libraries, health centres and recreation centres are good places to choose so lots of people can see them. Share your event on Twitter and Facebook! Make sure you contain the hashtag #BSW19 on Twitter, and tag the ‘British Science Week’ Facebook page, then we can share your event and help you publicise it. There’s no need to set up a Twitter account just for one event, but if the event location has a Twitter account, ask if they will promote your event with a few tweets or Facebook posts. 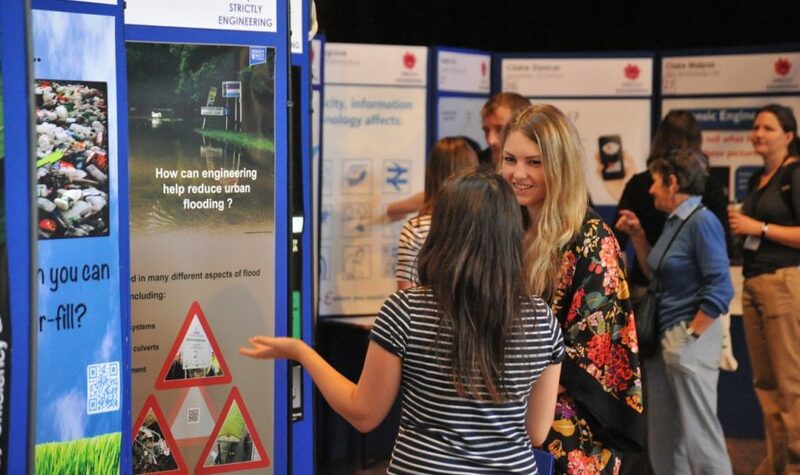 Science Live is the British Science Association’s event platform that enables people – whether as organisers, speakers, volunteers, or attendees – to connect with one another throughout the year. It’s the perfect place to promote your event and make it visible to the local community! Tell your local newspaper, community news channel or radio station about your British Science Week event. A press release accompanied by a photo is a good way to introduce your work. Invite them to your event or arrange a photo call with some of the people involved in your project, and ask if your event can be listed on their ‘What’s On’ page of the newspaper/magazine. You need to get consent from people you would like to photograph or film, especially if you plan to use the images for publicity purposes – both in print and online, this includes your social media activity. As much as you can you should let people know where you are likely to use their image. A press release is a great way to send the message to local newspapers and publications. It involves writing a concise description of your event, highlighting the essential details about when the event is on. You should make it easy for people to read! Download our guide to writing a press release and sample template (opens as editable word document).